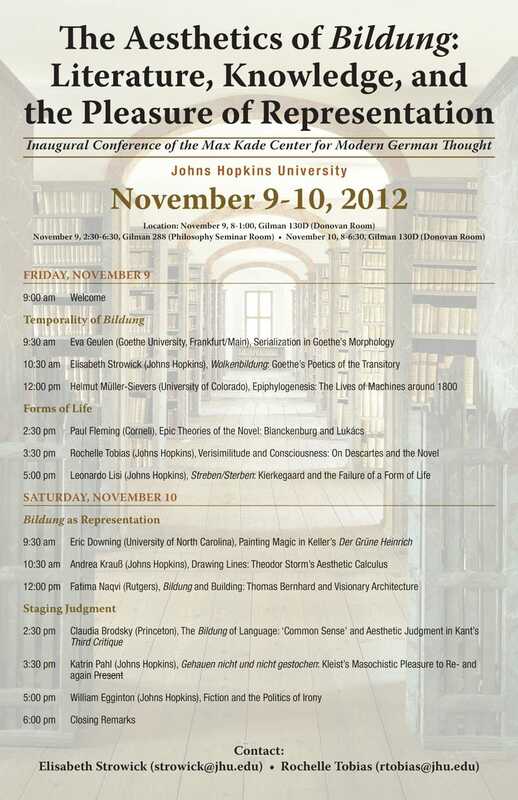 The Max Kade Center is an interdisciplinary forum that brings together scholars from the arts and sciences as well as engineering, music, and medicine. The German Program, with the support of the Max Kade Center for Modern German Thought, is pleased to announce 10 Travel Grants in the amount of $1,200 to support summer study abroad (German language courses, seminars in other disciplines, internships) in Germany. Eligibility: Applicants must be full-time undergraduates at Johns Hopkins University. Prior knowledge of German is not required to apply for the grant and students from across the university are encouraged to apply. Preference is given to students who are German majors, German minors or students enrolled in courses in the German program. Information about the program applicant has applied to / intends to apply to. 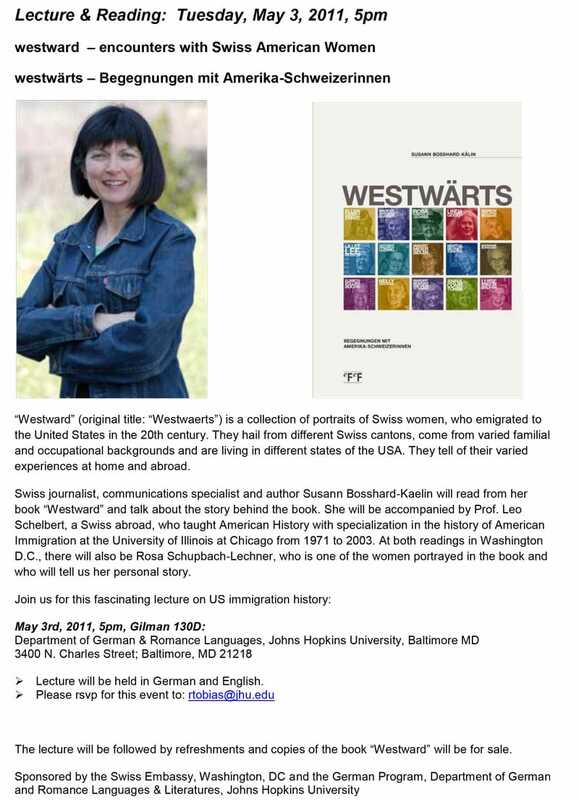 For more information about the grant and/or eligible programs, contact Professor Marton Dornbach mdornba1@jhu.edu or Deborah Mifflin mifflind@jhu.edu, the German Language Program Director. 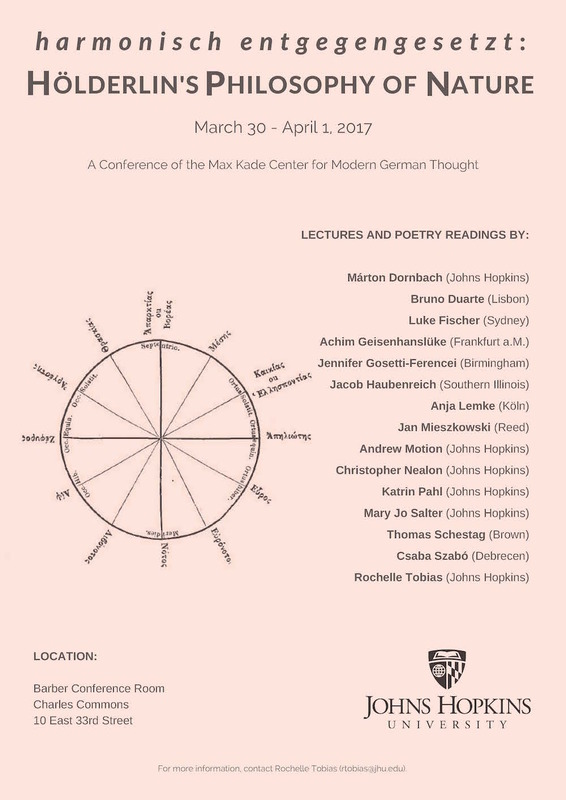 The Max Kade Center for Modern German Thought will hold an international conference from March 30 to April 1 on the relation between Hölderlin’s poetic theory and his concept of nature as developed in his poetry, prose, and dramatic works. 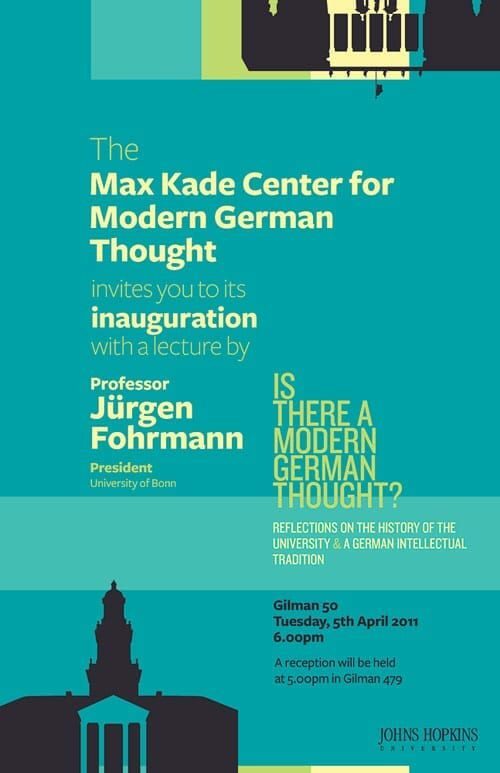 Max Kade Center for Modern German Thought invites you to join us for the inauguration of the new international studies track/focus area, Germany in a Globalized World.